From start-ups to multi-billion dollar businesses, everyone is looking for ways to cut costs while turning a profit. In fact, many companies are just trying to keep things in the black, however that does not eliminate the need for practices that will improve and grow these businesses. Since few people have the expertise to manage much of today’s technology, a certain percentage of their budgets should be allocated to IT and software applications maintenance. 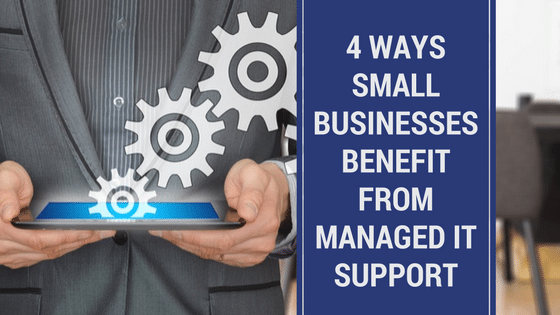 Here are ways that Managed IT Support benefit small and medium businesses. Increased productivity– Businesses are established to fill the need for a product or service while providing a livelihood for the business owners and their employees. In order to do this, businesses have to ensure they are working at full capacity at all times. Downtime or work performed at reduced levels is time and money wasted. Managed IT Support can help businesses not only quickly repair problems when they occur but also act as a proactive measure to spot and treat potential problems before they have an impact on productivity. Supports in-house IT– Many businesses do not want to relinquish all IT maintenance control to an outside party, and small businesses do not always have the resources to support the type of IT department needed to keep their business running at full speed. A majority of businesses can benefit from adding the expertise, tools and availability of a Managed IT Support Provider to help support in-house IT departments. Remote services– Managed IT Support Providers work from a remote location, providing desktop, email and back-up and recovery support services without adding to the actual number of “employees” on site. The services provided are unobtrusive and in the majority of cases, have no impact in the day-to-day activities of current in-house employees. Affordable– Generally when you bring on a Managed IT Support Provider, a consultant will perform an onsite assessment of the company, its workflows and processes and the current state of its supporting technology to determine what services are needed to meet organizational goals. Business owners often have a choice between several different levels of service, making it possible for a company with a limited budget to choose a package that best suits their needs. Security is a big concern for business owners and individuals alike. In the past, business owners have been reluctant to entrust secure or private information to a third party, offsite vendor. As Managed IT Support Providers continue to prove their value, more companies are realizing the benefits and value of their services. Managed IT Support Providers continue to improve technology to provide secure, quality services for businesses of all sizes. As a result, smaller businesses which operate with leaner budgets find themselves in a position to reap the benefits of these services. Business owners often have to make difficult decisions regarding how they will improve their business while sticking to the budget. As the market for Managed IT Support experiences continual growth in the next few years, this method of IT maintenance and service delivery will likely become the “norm” for small to mid-size businesses looking to reduce costs and improve up-time and business continuity. Companies that recognize the benefits of Managed IT Support will have a jump on their competition. Still not convinced? 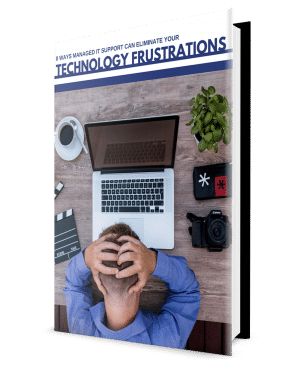 Enter your name and email for instant access to the FREE PDF that dives into EIGHT ways Managed IT Support can ELIMINATE your technology frustrations.